Physical landscapes are one of the most fascinating facets of our Planet, which tell stories about the evolution of the surface of the Earth. This book provides an up-to-date information about the geomorphology of the selected ‘classic’ sites from around the world and shows the variety of geomorphological landscapes as moulded by different sets of processes acting over different timescales, from millions of years to days. 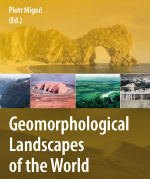 The volume is written by nearly fifty geomorphologists from more than twenty countries who for many years have researched some of the unique sceneries on the planet. The thirty six chapters present each continent of the world. They describe landscapes of different origin, so that the reader can learn about the complexity of processes behind the sceneries.